Paid Search Advertising or Search Engine Marketing is a way to improve business visibility which leads to traffic, leads, conversions and sales. You can advertise on Google, Bing and any other modern search engine that offers advertising platform. 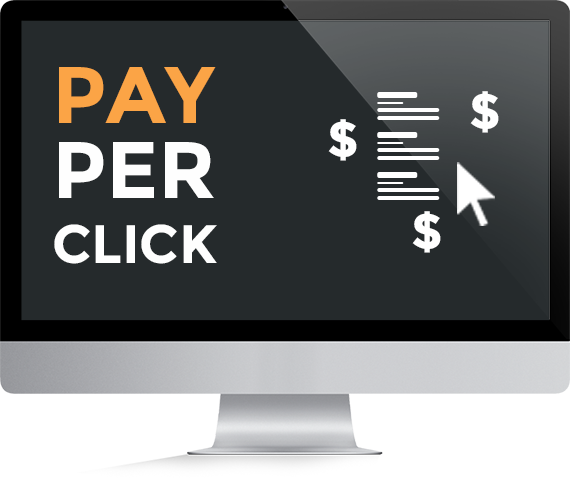 Paid Ads are a quick way to reach out to highly targeted customers or prospects via search engine text, display ads. Reach out to mobile users, desktop users and tablet users. Analyzing your business needs and identify the right search engines to set up campaigns. Research Highly targeted and relevant keywords for developing text or display Ad campaigns. Integrating Google Adwords with Analytics for effective reporting, management, and Ad Optimization. Optimizing the Ads to run when needed and improving ad quality. Developing landing pages for high conversion and following AdWords guidelines to decrease bid rates. Creating Display ads graphics, banners, animated creatives and setting up highly optimized campaigns. Targeting the text ads and display ads to show on highly relevant websites for maximum conversions and optimal budget usage. (Eg: b2b business like staffing firm can maximize the leads (job aspirants). By advertising on platforms like LinkedIn, Dice, Xing and other professional networks. Native advertising with those networks can cost higher than AdWords, by leveraging the specific platforms we can use your paid search advertising for maximum return on investment). We can Optimize CPC, CPM and CPA ads for Google Adwords and Bing Ads Network. Paid Advertising is the only way to reach to target audience if your website is brand new, with little to no SEO. We manage the entire campaigns end to end. One to one consulting to identify your business and make the marketing plan. Highly experienced Digital Marketing Professionals with Google Adwords Certifications and Bing Ads Certified. Worked with some of the biggest companies across the globe and generated good sales. Display and Text Ad Optimization for your website, E-commerce store, SaaS, Web Application Squeeze Pages and Landing Pages. We will increase Opt-ins, Sign ups, Downloads, and Sales with highly targeted campaigns.